Some problems cannot be fixed instantly. Optimism! Yeah! Way to go fox! 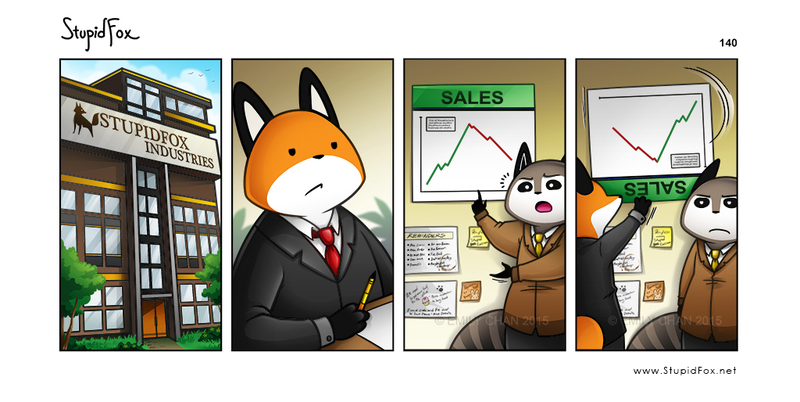 Raccoon: The sales are going low, we need to get smart. Ye gads, StupidFox! You're a genius! Bird UPS guy and Bunny Intern?!? !